Maryland native Sofia Selowsky made a noteworthy role debut as Rosina in Rossini’s Il barbiere di Siviglia for Houston Grand Opera in the 2017-2018 season. 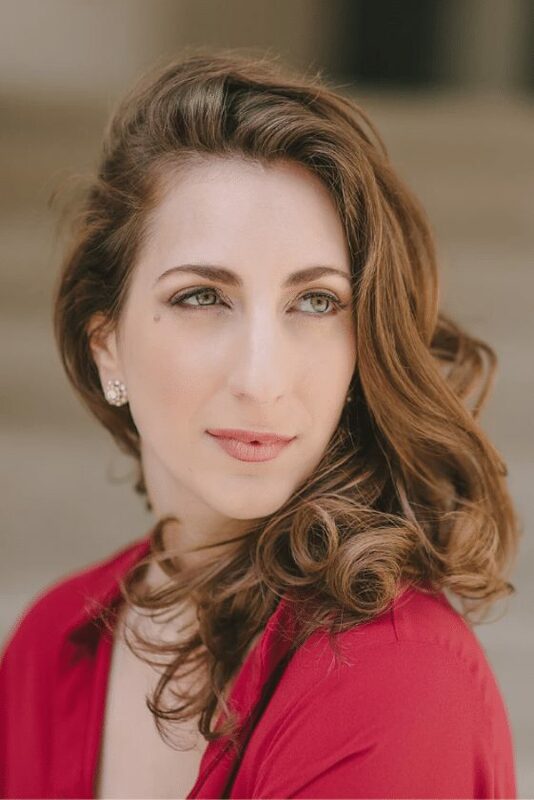 Of her performance, Opera News said, “The brightest light of the performance was mezzo-soprano Sofia Selowsky as Rosina, whose singing featured a honey-rich sound with a silvery top end, even projection throughout her range, and amazingly clear passagework.” In the 2018-19 season, Ms. Selowsky continues to take on leading roles in her repertoire, including the title role in Handel’s Agrippina alongside a cast of rising American stars for Ars Lyrica Houston and Donna Elvira in Don Giovanni with Jacksonville Symphony. Additional performances in the season include Handel’s Messiah for her debut with Kansas City Symphony and Mozart’s Requiem with Charlotte Symphony. Performances in the 2017-18 season included a cameo appearance in the ballet Mayerling with Houston Ballet and concert debuts with Lexington Philharmonic in Argento’s Casa Guidi and with North Carolina Symphony in Mozart’s Requiem. She also made debuts with Atlanta Opera as Mercédès in Carmen, with Los Angeles Chamber Orchestra in a concert of Pergolesi, and in the summer debuted with Des Moines Metro Opera as the Stewardess in Jonathan Dove’s Flight. Recent engagements include Handel’s Jephtha with Ars Lyrica Houston, De Falla’s Siete Canciones Populares Espanolasunder the auspices of Da Camera of Houston, her debut with The Minnesota Orchestra in Handel’s Messiah, and her debut with Sarasota Orchestra in Mozart’s Requiem. In the spring of 2017, she returned to the Houston Symphony Orchestra for performances of Falla’s Three-Cornered Hat and finished the season with Opera Theatre of Saint Louis, where she was heard as Frau Grubach in the American Premiere of Philip Glass’ The Trial, for which she received praise for her “beautifully free, rich-toned mezzo”.